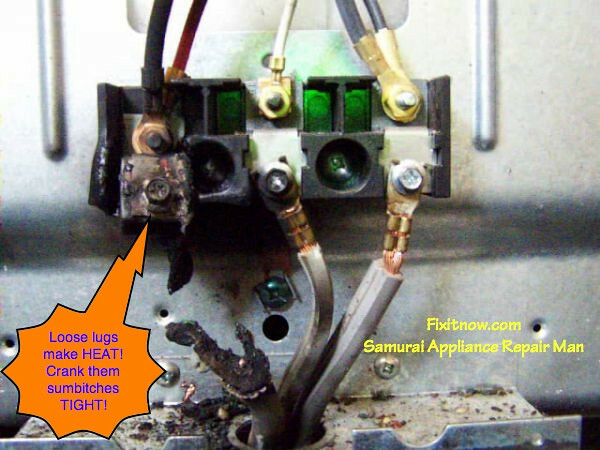 Set the Dryer to run a Regular Heat Cycle. Keep the Door open so the Drum Motor (and Heater) doesn’t run. Test for 120v AC from each side of each Thermal device to chassis (ground). and from each side of Heater to chassis (ground). With the Door open, and the Drum Motor not running, that disconnects L2 power. The other side of the Centrifugal Switch will (should) have 120v to chassis (ground), but that would be from L2. 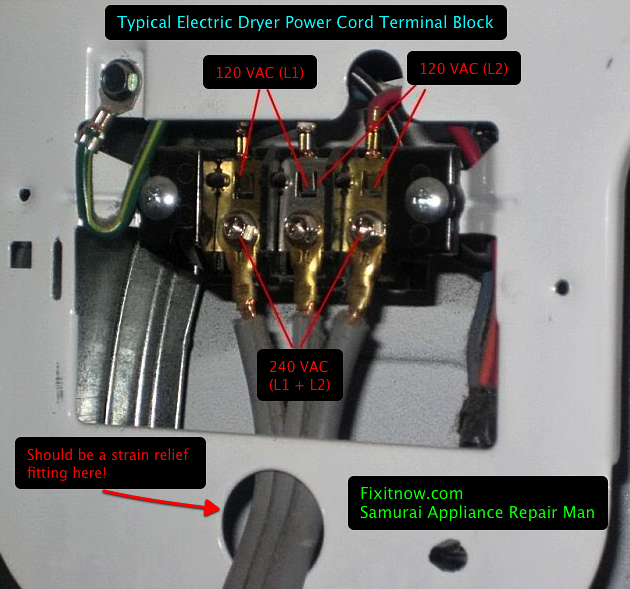 This entry was posted in Dryer Repair on February 27, 2011 by Samurai Appliance Repair Man.